Two of our most popular finishes, duplexing and triplexing involve adhering different papers together to create really beautiful finishes. Duplex involves gluing two papers or boards together, while triplexing uses three. Duplexing is a great way to achieve different textures and colours on either side of your print. It also works really well with die-cutting, as you can set the die-cutter to only cut out the top layer, revealing the second colour underneath. Triplexing can be used to get a coloured seam running through the centre of a card. 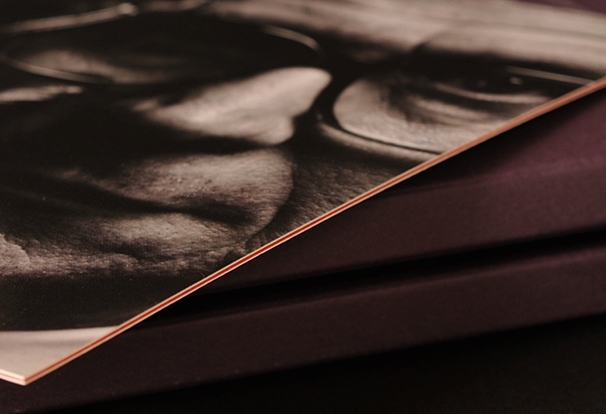 Duplex and Triplexing are a great way to make your print look special and definitely more classy. Used mostly for corporate invites and business cards, those finishing processes give an extra touch, showing your customers that you pay attention to detail and that your brand is a premium one. 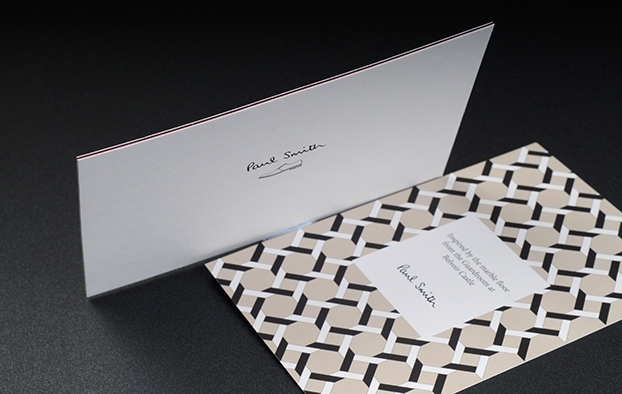 Emboss a triplexed invite for an outstanding result that will suggest your guests a luxury event from the second they receive it. If you are not sure what would work best for you, pop in for a chat, or ring us. We are happy to help! Will it add a lot of time on to the turnaround? To ensure a top class finish we like to allow 3 days for gluing, this allows the glue to dry completely. In exceptional circumstances when time is of the essence as a minimum we need to leave it overnight to dry and trim the next day. Can’t you just finish on thicker paper to give me the same effect? 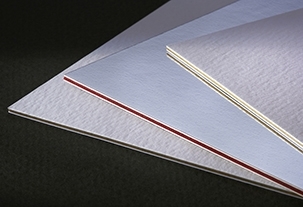 The cost of purchasing special paper stock of the right thickness will be considerable compared to in-house duplexing or triplexing. It’s also hard to come by paper that will be of an appropriate weight. Duplexing is an extremely reliable and cheaper way of adding thickness. It’s the standard in the industry. You also have to consider what thickness can be printed on and will feed through the press. What is the thinnest/thickest duplex you can do? We only like to work on single thicknesses of paper above a 250gsm, it helps create a more stable finally finished item. Below 250gsm curling can be a problem and is difficult to judge if it will happen or not. Is there a risk that the two sheets will come apart? We use glues that penetrate the paper and when adhered correctly, the paper rips before the glue. This also adds to the rigidity of the paper, making it feel thicker in your hand. Can I duplex or triplex different colours? Yes, and this is a very popular option because it looks so good. A lot of people like to use a brighter colour in the middle of two dimmer colours to really make their design pop, but ultimately it is up to you. You can have as many different colour combinations as sheets pasted on. Can I duplex or triplex any different types of paper or board? Most board weight papers work fine and we have tried many. We always recommend to use the same weight and type on each side of the sandwich to avoid curling. If time allows we would always recommend doing a test to check you’re happy with how the final item will look. What other finishes can I have with duplexing or triplexing? We regularly duplex foiled, embossed, laminated and spot UV finishes, all these work fine. A true de-boss won’t work as the side being glued would not lie flat against the sheet it is gluing to. So if you do want a de-boss effect we would recommend a heavy indent when duplexing. Can I have more than three sheets? You can have as many sheets as you wish – the thickest we have gone to is 3mm on a production job. Theoretically, we can keep on bonding sheets together and just getting a finished item thicker and thicker though trimming will probably become problematic in this situation. What does duplexing mean in printing? Duplexing is adhering two pieces of stock together to add thickness or different colours and textures. Can you triplex business cards? Yes, in fact this is one of the most popular finishes for business cards along with foiling and embossing. It’s an easy way to add extra thickness without having to pay a lot more for thicker stock and gives off an air of quality.